The strawberries have arrived! These beauties are the first crops of our spring farmer’s markets and I have seen a big harvest in our area markets. Some years, the strawberries do not make a great first showing. This year looks to be a great crop of strawberries. Naturally, I had to bring home a few baskets and make great things with them. 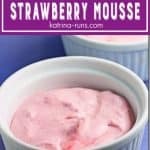 The first one is a Simple Strawberry Mousse recipe. 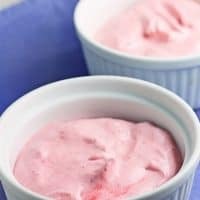 With strawberries, cream, and sour cream, this recipe is sure to be a hit for spring and even Valentine’s Day. I also am still fighting a summer cold, so I didn’t get too crazy with my first recipe. With just a few ingredients, one bowl and a blender. This doesn’t get much easier. But aside from being easy, this one really lets the flavors of the strawberries shine. Adding a hint of vanilla and cinnamon really enhances the strawberries. I wanted to mention a couple of things. Be sure to add the cinnamon and vanilla to the puree AFTER you’ve poured it from the blender. With the small amounts, you don’t want them blowing up the sides of the blender canister and not getting fully incorporated into your puree. They make a big difference in the results. If you would rather not make your own whipped heavy cream, feel free to substitute the store-bought whipped topping. I do suggest using the Cool Whip brand. Several other brands I’ve used have had a more liquid consistency and you definitely want the firmness of real cream or Cool Whip. 2 cups strawberries, stems removed and sliced. Combine the strawberries and sugar in a blender, and process until smooth. Add cinnamon and vanilla to puree. Stir until combined. 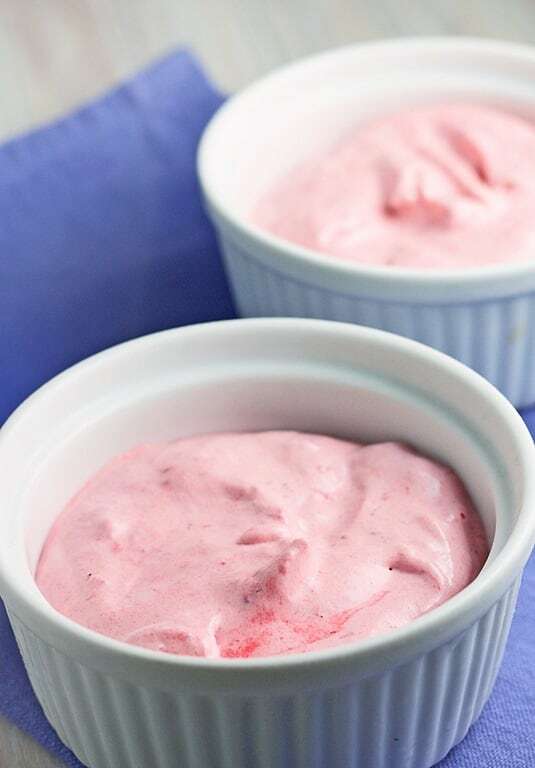 Combine strawberry puree and sour cream in a large bowl, stirring well with a whisk. Spoon into 6 (6-ounce) custard cups. Previous Post: « Whoa Monday..calm yourself.